Panic Button Already Folks ? 3 games into the season and some of you are already panicking. So the offense looked anything but explosive in losing 2 of 3 to the hated ones. It also didn’t help matters that we went 1 for 13 Wednesday night in letting some guy in a Tim Lincecum jersey escape numerous jams in spite allowing 7 walks through 5 innings. BTW, who was that guy with the short hair pitching for the Giants Wednesday night donning the Lincecum jersey ? It’s still a long season folks. 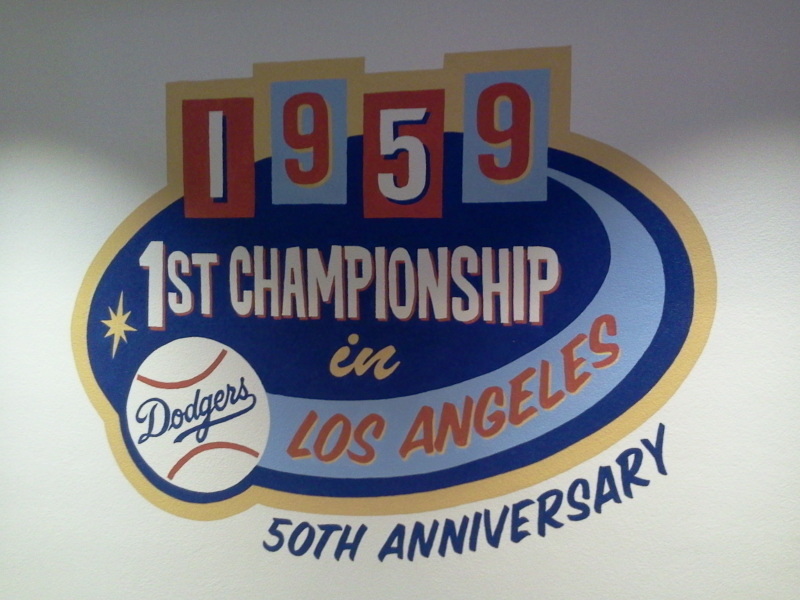 Neither the Dodgers or Giants came out of that series with an offensive clinic. The bats will warm up…. It was only a matter of time before The Epicenter, longtime home of the Dodgers Single A affiliate Rancho Cucamunga Quakes, would fall under the corporate naming rights regime. So for any of you who will be catching a glimpse of some potential future Dodgers, you will now be viewing your games at LoanMart Field. 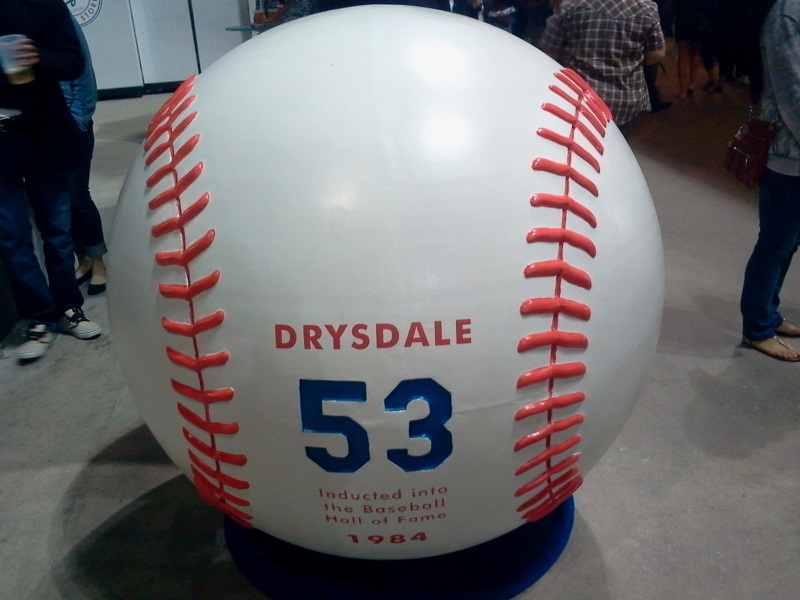 Personally I would have liked LoanMart Field at The Epicenter…. 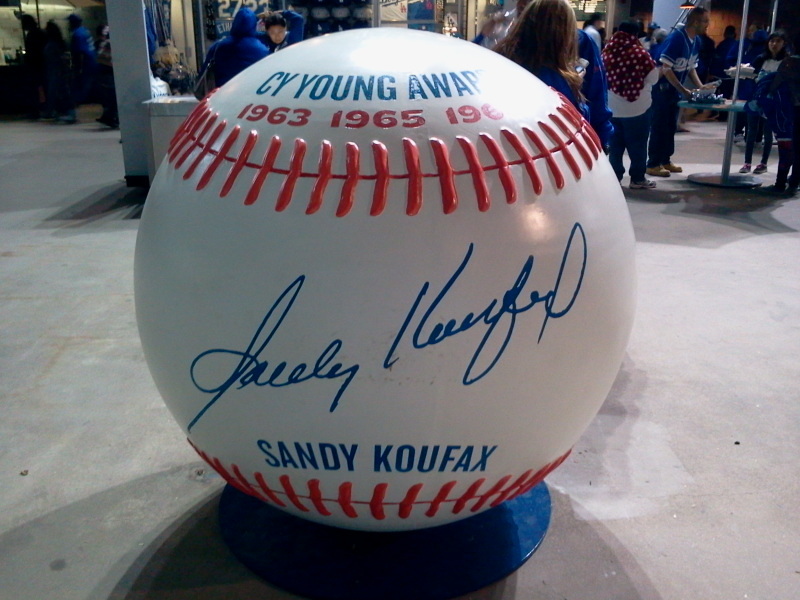 2 of the huge baseballs up in the reserved level dedicated to past Cy Young Award winners. This week I decided to feature Big D and Sandy…. 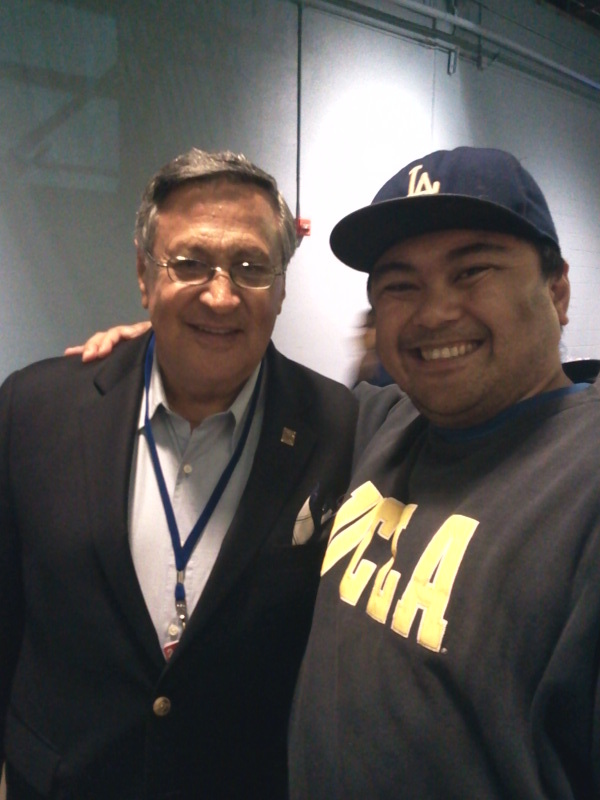 Me with Jaime Jarrin, the longtime Dodgers Spanish speaking broadcaster…. I MADE THE TOP 50 !!!! Every month MLBlogs.Com, Blogs Central features their top blogs based on views. So it is my privlege to announce that my blog cracked the Top 50 amongst the fan blogs for the month of March, coming in right at….. Number 50 !!! WOOHOO !!!! As i’m sure many of you know, blogging can be both a passion as well as a chore. There are times you have a lot to write about, there are times that you either have nothing or just don’t have the time to keep up. Having said that , I Thank You all for reading my posts and I hope you have enjoyed what i’ve provided you. And of course, please do share my blog with those you care about…. HAPPY FRIDAY EVERYONE !!!! 45. You’re Killin’ Me, Smalls!